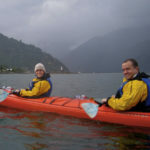 Joanie and Jeff wanted for their kids to have a great time in Patagonia, but it was equally as important to them that they have impactful cultural experiences adding to their expanding world view. Their Patagonia family trip had them horseback riding into the remote Cochamo Valley and learning of the homestead culture with our friends Tatiana and Horacio, along with time for whitewater rafting, hiking and more. There’s no better way to experience the world and build lifelong memories together than family travel. If you’re interested in private family trips to Peru and Machu Picchu, the Galapagos Islands and Ecuador, or Patagonia and Chile and Argentina, stop daydreaming as your kids grow up. The time is now. 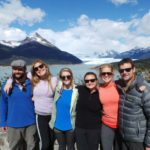 Check out Joanie and Jeff’s Chile family vacation to Patagonia below, and be sure to check out our other great ideas for South America family trips here. Day 1 Santiago Upon arrival to the Santiago airport you will be met by a Knowmad representative and transferred to your accommodations centrally located in the city and embark on your Chile family vacation. You will be picked up early in the morning in accordance with your onward flight south to Punta Arenas. After arriving you will be met by a representative of Tierra Patagonia or The Singular and transferred to their respective lodge. Recommended flight: LA81 departing Santiago 6:00 a.m. arriving Punta Arenas 9:25 a.m. Enjoy your choice of excursions to explore and experience the one-and-only Southern Patagonia as part of your inclusive lodge package. You will be transferred by the lodge to the Punta Arenas airport in accordance with your onward flight north (under an hour) to Puerto Montt, in the Northern Patagonia, or Lakes District. Here you will be met by a Knowmad representative and transferred approximately a half hour to the charming lakeside town of Puerto Varas. Enjoy the evening at your leisure to explore town. Day 7 Whitewater Rafting You will be picked up in the hotel lobby following breakfast (please have your bags packed and ready) and taken for a half- day rafting trip on the class III Petrohue River. * Following this exciting adventure you’ll continue on deeper into the wilderness to the remote Campo Aventura Riverside Lodge where you’ll enjoy dinner and a relaxing evening in anticipation of your adventure the following day. Day 8 Horseback Riding After a hearty breakfast the gaucho horsemen and your guide will have your horses saddled and ready. Sit back and relax as these amazing horses take you winding through lush temperate rainforest home to old-growth alerce trees, turquoise rivers and endless beauty. For those not keen on riding, enjoy hiking along the over 400 year-old trail once used by Butch Cassidy that eventually crosses the entire Andes range linking Chile and Argentina. After a riverside trail lunch and an approximately 4- hour ride through the forest, the trail enters an open valley revealing enormous granite walls, waterfalls and natural amphitheaters. Nestled amongst them is a remote mountain cabin, your home for the next two nights. Along with your guide, local homesteaders from the neighboring cabin Tatiana and Horacio will be your hosts. Besides cooking delicious, locally grown meals they will give you an intimate window into the remote lifestyle of Patagonian horsemen and women. The Mountain Cabin has two shared beds and can accommodate up to 8 guests at a time with two shared bathrooms. Hot water is available for showering by way of a wood-burning stove. There is no electricity. Enjoy the unmatched serenity and captivating beauty that is Valle Cochamo. With massive granite domes the valley is often compared to Yosemite. Thrill-seekers won’t want to miss the summit of spectacular Arco Iris peak, zooming down the natural waterslide is often a trip favorite, and enjoying the valley while spotting Andean condors from the cabin’s terrace perch should not be missed. Enjoy a Patagonian asado (barbeque) over an open pit fire in the evening and relax by candlelight. Enjoy one-last breakfast cooked over a wood-fueled stove and say good-bye to Tatiana and Horacio before riding or hiking through the verdant, moss-covered temperate rainforest. Enjoy a trailside picnic lunch. After arriving back to the Riverside Lodge you will recover the rest of your luggage, use the facilities, and continue on by van to Puerto Varas and enjoy a relaxing evening going for pizza and burgers in this easy-to-navigate, charming town. Enjoy a leisurely morning to take a stroll along the lakefront, visit some shops, and explore town before being transferred to the airport in accordance with your onward flight back up to Santiago. After arriving in Santiago you will again be met by a Knowmad representative and you wil be transferred by private vehicle approximately an hour and a half to the town of Vina del Mar. Enjoy the day at your leisure to explore Vina del Mar, sister city Valparaiso, or to relax and stroll the beach. Enjoy a leisurely morning and afternoon before being picked up in your hotel lobby to be taken back to the Santiago airport in accordance with your onward international flight home. If you’d like to build lifelong family memories and a more well-rounded worldview grounded in experience, we at Knowmad would love nothing more than to help craft with you a journey reflecting your families personality and perfectly balancing joy, surprise, knowledge, and culture. Show your kids that ‘someday’ is no way to Iive, and call 1-877-616-TRIP or email travel@knowmadadventures.com today.